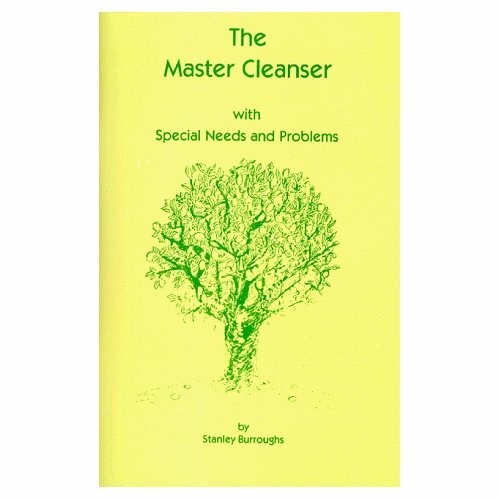 If you’re considering starting The Master Cleanse fast, also known as the Lemonade Diet, I would highly encourage you to read the book that started this sensation, Master Cleanse, by Stanley Burroughs. Download the free PDF http://healthandlight.com/TheMasterCleanse.pdf or purchase Burroughs book on The Master Cleanse website. As mentioned in an earlier posting, there is also a substantial amount of tremendously useful material in the Master Cleanse Discussion Forums. Below is an excerpt, written for newcomers on the Master Cleanse fast, taken directly from the MC discussion forums. That’s it? That’s all you got? Day 10 has been a breeze. We were able to lounge around the house this morning but my type A personality kicked in…. So, after scouring the ENTIRE abode in some kind of delirious deep cleaning frenzy, I grabbed the in-laws pooch and marched towards the golf club to see how my trusty Fattie was progressing on the remodel. Wow. That guy is bordering on being the handiest person I’ve gazed my eyes upon. F can accomplish anything that crosses his path and truly embraces a challenge. I heart him. 10 days on master cleanse. I made it. No cheating. Also no creamy risotto. No cream brulee. No lemon & herb roasted chicken. No cheese fondue. No rum laced bread pudding. No pinot nior. No cheesy margarita pizza. No fois gras. No ice cold beer. No banana bread. No garlic mashed potatoes. No freshed squeezed orange juice. No juicy filet mignon. No ceasar salad with homemade dressing & crunchy Parmesan croutons. No warm chocolate chip cookies. No diet coke. No Häagen-Dazs. Not even an avocado. But this amazing journey has been about a lot more than just a lack of tasty food, which I’m sure will be scrawled down in the upcoming days…. For now, I’m gratefully savoring my last few lemonades. This song, Blessed by Brett Dennen, sums up exactly how I’m feeling. I just couldn’t do it. Not another 24 hours! Honestly, I really really tried. I almost made it; but I couldn’t manage one more stinking day. Master cleanse? Nah. Come on. Are you kidding me right now? That’s a no brainer. I’m talking about the Christmas tree, silly! See, here in Sweden things are a little bit different around the holidays. Let me explain……First off, Christmas eve is the ‘big day’ equivalent to Christmas day in the States. This is the day when everyone exchanges presents and the height of the holidays are officially kicked off with an elaborately grand smörgåsbord (the Christmas buffet is called a julbord or yule smörgåsbord – translated means Christmas table). Secondly, most Swedes put up the Christmas tree just 1 or 2 days before December 24th, ‘the big day’. Which by my calculations leaves a measly 24 to 48 hours to decorate the darn thing before the show starts! And if you’re like me, with hundreds of twinkling lights and gorgeous ornaments perfectly placed, this just won’t do. Thirdly, and maybe even more interesting (am I boring you yet? ), January 13th in Sweden is also known as St. Knuts Day or Hilarymas, which is the traditional day to discard the Christmas tree and end the seasons festivities. Yes, my friends, you heard it here…..The 13th of January! Inconceivable in my circle back home as we’re usually hanging on by needles (no pun intended) just to keep the thing standing & alive until New Years. I dashed out for a quick walk and was lucky enough to capture some gorgeous pictures of the sun setting over the water. We live on a such a beautiful lake in Sweden. Gratitude overwhelms me everyday. I am truly blessed. Day 8 on the master cleanse brings feelings of determination. There are only 2 1/2 days left and there is no question if I can execute to the original plan. I can and I will. No hesitation. The question darting around my tiny biscuit is this: since I’m already through the most challenging part of this fast (which for me was those pesky little days called one, two & three) why not persist for just an itty bitty bit longer…? Maybe 12 days? Maybe 15 days? Why stop at 10? We were out all day yesterday gathering up goodies for the remodel and I didn’t get a chance to squeeze in a lick of exercise. Not even a 30 minute jog. Consequently, I feel a little stiff today. Actually, we were gone far longer than expected and since I only brought 16 ounces of lemonade cocktail with me on the road I was H.U.N.G.R.Y. by our return at nightfall. After 4 hours or so without this yellow drink I fondly refer to as ‘food’, swigging a large gulp of my lemon dinner seemed scrumptious. Wow, that’s it. I’m cruising through half-time! I can hardly believe I’m truly over the hump. Adios to 7 pounds! I’m exuberant, my skin feels like silk, I’m loaded with energy, my hunger pains vanish when I slip them a dash of peppery lemonade potion, only brief & microscopic cravings find their way into my head, and best of all, I am determined to run across that finish line with a big cheesy lemony smile! As good as that feels, I’m simultaneously feeling a wee bit afflicted about days seven and eight. As you know, I love, love, love cooking and intentionally I haven’t set my little paw on a pan, knife or real piece food for the last five days. I’ve managed to keep evil temptation and those delightful smells of – well, anything edible at this point – far far away, locked up real tight…. As I’m parked here gulping my salt water flush, Jamie Cullum’s song, ‘What A Difference A Day Made’ is running through my noggin. Yesterday was ok. I was about 70% – which in reality was so much better than the previous days that it felt like paradise. I managed to bundle up and head out for an hour long jaunt in the freshing (but oh so chilly) air and later mixed in 30 blissful minutes of yoga which allowed me to feel a bit more centered and relaxed my body. But by bedtime my lower back was aching again so I begged Fattie to give me a quick back massage followed by another on my neck & shoulders. It worked. I eased off to never never land with little difficulty. Yes, it’s only the beginning of day 5 and I feel great. Light. Clear. Grateful. Inspired. Committed. Positive. Eager. Devoted. Every day is getting easier. Every day is filled with more clarity. Every day is improving. What a difference a day made. 24 little hours. A city girl from the states falls in love while working her 9-5 in Holland and wakes up to find herself living on a golf course in the Swedish countryside.